Saturdays are made for brunch, drinking wine and catching up with friends. I took a wander into Soho for brunch with two of my best friends yesterday. We started at 11am and finished late into the night. It’s quite often what happens – coffee becomes espresso martinis and any concept of the healthy eating I had during the week goes out the window. I’m a big fan of hotel bars and restaurants. They’re always so relaxed and generally a lot quieter than other places in central London. We went to Refuel in The Soho Hotel, one of my absolute favourite places. An ex (shoutout the ex with good taste) took me here for breakfast about 5 years ago and I’ve been back loads since. 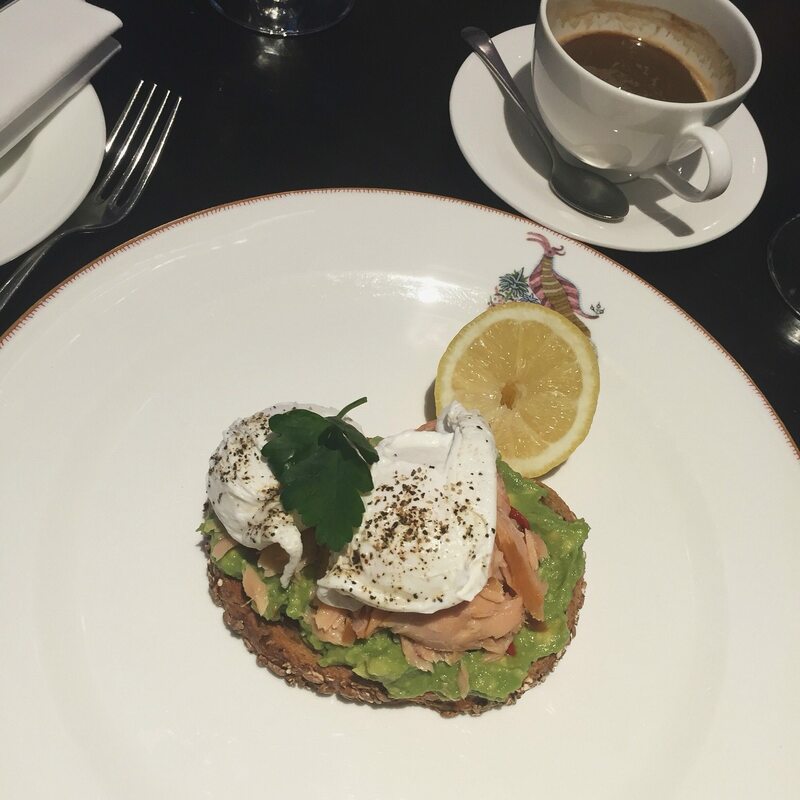 We all had exactly the same breakfast – hot smoked salmon, crushed avocado on toast, puquillo peppers and poached eggs. Absolute treat. And no brunch is complete without getting a quick outfit shoot done outside the restaurant. There was a definite green vibe to my outfit and the tiled wall was too good a backdrop to not use. The faux shearling coat is a winner and it looks a lot more expensive than the £65 I paid for it. The roll neck was also a total steal. I picked it up in a the sale at Burton Menswear in Edinburgh for £12. Why can’t I find bargains like that in London! ?